With the extra free time that you have in your retirement, you should be able to enjoy your home improvements and projects that will make your home exactly as you want it to be. Among the many decisions that you will need to make in your retirement, the choice of whether or not to rent or own your next home is one of the most challenging. While there are advantages of both depending on your needs, the choice to own a home will provide you with a unique set of advantages that you can enjoy in your retirement. As you navigate your choices for the future, consider the benefits of owning a home in your retirement years. If you choose to rent a home, you may not be permitted to be creative in personalizing your home design. With this, owning a home provides you with the advantage of customizing your space to your exact needs in your retirement. Should you feel like painting a room or adding a garden to your home, you will be able to make these additions as a homeowner. With the extra free time that you are allotted in your retirement, you should be able to enjoy your home improvements and projects that will make your home exactly as you want it to be. 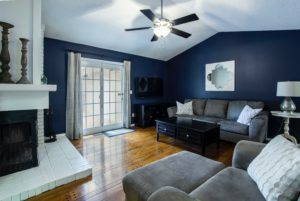 A home to call your own allows you to enjoy adding personal touches to your space for both you and your visiting family members to enjoy throughout the year. When you choose to own a home versus renting, the monthly rent that you would otherwise owe to your landlord could instead be a mortgage payment. Why not essentially pay yourself? In addition to having true ownership of your home, you can also enjoy government rewards of significant tax benefits as a homeowner. Although tax deductions vary by state, two tax benefits apply to most states. One benefit is known as the “homestead exemption,” through which homeowners can pay property tax on a fraction of their home value. The second means of homeowner tax benefits is itemized federal tax returns. As a renter, you may not otherwise be able to gain from these benefits. As a homeowner, you will also have an opportunity to benefit from building equity in your retirement. Particularly if you are living in, or moving to, an area where you plan to stay permanently, rebuilding equity, is an excellent step towards being able to make the most of your investment. Should you choose to refinance your home in the future, you can also enjoy a lower interest rate with extra money to space for improvement projects that can instantly boost your property’s curb appeal.